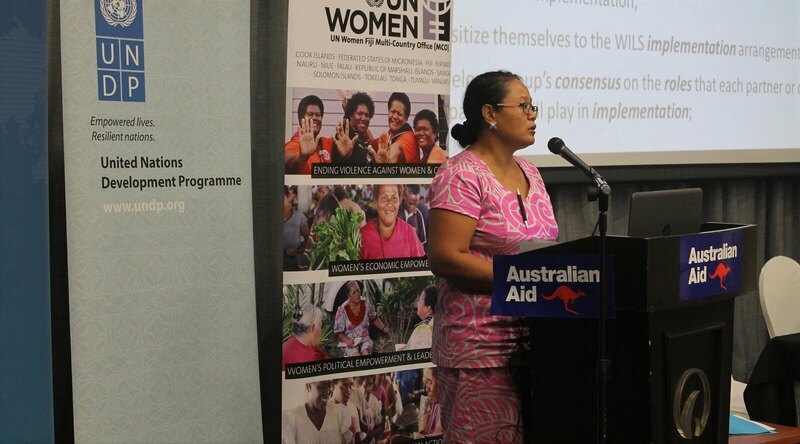 The Australian Government is in the process of developing its second National Action Plan on Women, Peace and Security (WPS). The whole-of-government policy is designed to guide the national implementation of the suite of eight UN Security Council resolutions that identify women’s security as a matter of concern for international peace and security. The first of those resolutions, UNSCR 1325, was passed in October 2000 and recognised that men and women, boys and girls have varying experiences of conflict. The resolutions call for an end to conflict-related sexual violence and an increase in women’s participation in conflict prevention, mitigation, resolution, relief, and recovery. Australia’s first National Action Plan (NAP) was developed as part of the government’s bid for a seat on the Security Council. It comprised five pillars: prevention, participation, protection, relief and recovery, and normative. But the actions taken under the NAP largely focused on protection. This focus as well as a serious lack of effective monitoring and evaluation were the key concerns civil society had with the plan. Rohingya lawyer Razia Sultana recently told the Security Council the international community had failed her community. In June, the Department of Prime Minister and Cabinet undertook a series of round-table consultations across Australia, seeking public input to inform the development of the next NAP. The consultations were based on a freely available discussion paper. One of the three sets of questions considered in the consultations was if any pillar should be emphasised over the others. The consultations showed consensus that the pillars are in fact indivisible, and that focusing on any one alone would undermine implementation of the agenda as a whole. The paper implied that participation may be the focus of the next NAP. A key problem with focusing solely on women’s participation is that it’s no guarantee for improved understanding of the gendered nature of conflicts and disasters, or implementing a gendered response. New research has shown that increasing women’s leadership in security organisations does not necessarily change organisational views of gender equality, or responses to sexual and gender-based violence. There have been several key developments since Australia launched its first NAP. The Committee on the Elimination of Discrimination Against Women released General Recommendation 30 showing that states parties are obliged to protect the rights of women and girls in conflict and post-conflict settings. The international community agreed on the Sustainable Development Goals, including a goal on gender equality, and another on peace and justice. The Security Council also passed new resolutions. UNSCR 2242 called on states to align their strategies for countering violent extremism with those fo WPS. Resolution 2331 recognised that human trafficking in areas affected by armed conflict “can exacerbate conflict and foster insecurity and instability”, focusing on the exploitation of women and girls by organisations such as Da’esh, Boko Haram, and the Lord’s Resistance Army. Australia’s new NAP clearly needs to account for these developments and be flexible enough to deal with future changes. However, other trends such as climate change and displacement cannot override the fundamental principles that underpin each of the WPS resolutions. A Global Study on the Implementation of United Nations Security Council Resolution 1325 highlighted the need to refocus the WPS agenda on the human rights framework from which it arose. The WPS resolutions are firmly grounded in the international legal framework and the principles of gender equality. Seven of the eight resolutions explicitly reference the Geneva Conventions and international human rights law. Six of the eight resolutions reference the Convention on the Elimination of All Forms of Discrimination against Women and the Beijing Platform for Action. For all the frustration at the focus on sexual violence instead of women’s agency and leadership, there is still a serious shortfall in action. This shortfall is even more shocking given the eloquence with which conflict-affected women are calling for justice. In many ways, such inaction undermines both the protection and participation pillars of the WPS agenda. Rohingya lawyer Razia Sultana recently told the Security Council the international community had failed her community, who have suffered egregious sexual violence as a tactic of ethnic cleansing. But Australia continues to maintain a military relationship with the Tatmadaw, despite the obligation under UNSCR 2106 to exclude perpetrators of sexual violence from security-sector reform initiatives. Usually, conflict-related sexual violence is perpetrated by people from another country, against people from another country, in another country. But in Syria and Iraq, tens of thousands of foreign fighters have been the perpetrators of sexual violence as war crimes, crimes against humanity, and genocide. Many of those foreign fighters come from countries such as Australia, France, Germany, Belgium, and the UK, who are signatories to the Rome Statute of the International Criminal Court (ICC). In June, the landmark case for holding a leader to account for conflict-related sexual violence was overturned in the appeals chamber of the ICC. It was a devastating blow for campaigners, but the prosecution of sexual violence as war crimes, crimes against humanity, and genocide should not be left to the ICC. States parties of the ICC are obliged to investigate and prosecute these crimes in their own courts. Countries such as Australia need to update their policies and programs to ensure the relevant investigative authorities and judicial mechanisms work to end impunity for conflict-related sexual violence. The fundamental principles of gender justice underpin the entire WPS agenda and must remain at the forefront of Australia’s next NAP. If you would like to share your opinion during the development of the next NAP, the Office for Women is also running an online survey as part of the consultation process. The survey will be open until the end of July. Whenever the Security Council membership is not unified, the Council cannot be effective. There are no exceptions. If the anti-trade rhetoric from the US election campaign looks bad, the reality is the numbers seem to be tracking even worse.